Volkswagen's old Microbus is getting a major update and could be in a garage near you in around three years. The company unveiled a futuristic battery-powered concept of the bus at the CES gadget show on Tuesday night called the BUDD-e. VW expects it to be able to go a staggering 373 miles on a single charge, far longer than electric vehicles today, due to a more efficient battery technology. 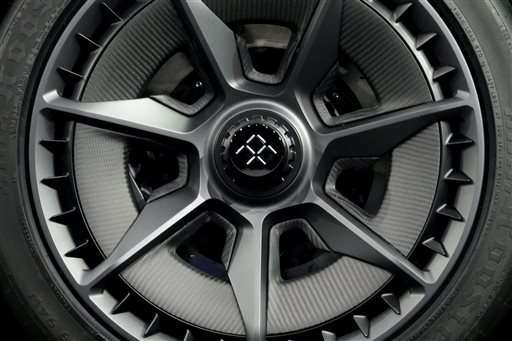 The Budd-e has Internet connections to smart home devices and can be charged to 80 percent of its battery capacity in about 15 minutes, VW says. Many charging stations for other electric vehicles now take hours to do the same thing. 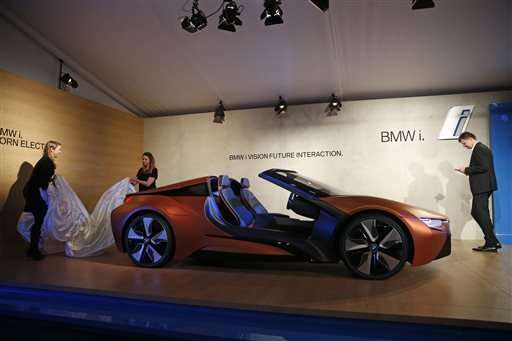 It also has gesture recognition technology to control the infotainment screen, and the doors can be controlled by voice commands. VW didn't say in its releases if the new Microbus will actually go into production, but said that the BUDD-e "demonstrates what electric mobility could be like by the year 2019." VW Brand CEO Herbert Diess says it's likely that the Budd-e will become a production model. The top executive of the Volkswagen brand says he's optimistic that U.S. Environmental regulators will approve fixes within the coming weeks or months for Diesel engines that cheat on emissions tests. Brand CEO Herbert Diess says the company is having constructive discussions with the federal Environmental Protection Agency and the California Air Resources Board. Diess says VW already has received approval to fix 8.5 million cheating cars in Europe. Repairs will start this month and most will be fixed this year. But the U.S. Cars are more problematic because they emit up to 40 times more toxic nitrogen oxide than allowed. Fixes could be complicated and take several years. Diess spoke as the company unveiled a concept of an electric Microbus. VW has admitted cheating on about 500,000 diesel cars in the U.S. by installing software that turns emissions controls on during government tests and turns them off on real roads. Intel CEO Brian Krzanich says tiny micro-processors will change the future of sports and art. 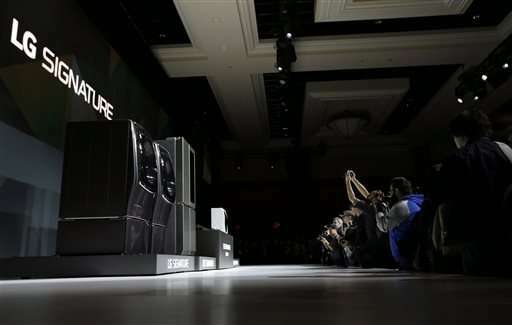 Krzanich showed off new uses for the giant chip-maker's smallest processors during a keynote speech that formally opened the annual CES gadget show in Las Vegas. He said tiny, wearable computer chips will help athletes and fans track speed and movement, while helping musicians create songs by waving their hands. The Intel chief invited a composer on stage to demonstrate a set of computerized wristbands that track hand gestures and translate them into musical notes. Other guests showed off drones and robots that use Intel's three-dimensional optical scanning technology to navigate around obstacles and recognize familiar objects. Krzanich also announced what he called a significant milestone toward the company's goal of having a workforce that reflects the general population by 2010. He said 43 percent of workers hired at Intel last year were women or minorities. Diversity is a hot issue in the tech industry, where Intel and other major companies have been criticized for not hiring and promoting women, blacks and Latinos. 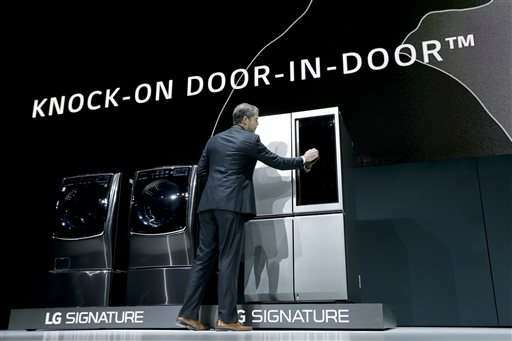 Krzanich announced an ambitious effort to address the problem during his keynote at CES last year. Intel had more than 100,000 workers as of mid-2015; Krzanich didn't provide detailed statistics Tuesday. 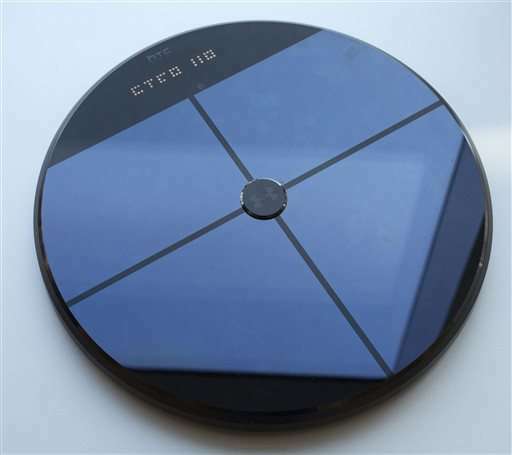 A startup that harnesses the power of radio waves to charge your mobile devices has come up with an ultra-small transmitter to keep a fitness band topped up with power. 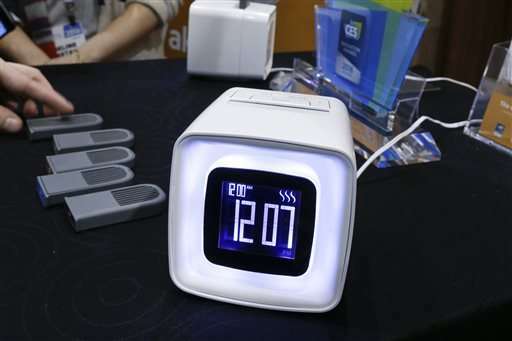 Energous Corp. unveiled a mini WattUp transmitter at the CES gadget show in Las Vegas. The company says the transmitter, about the size of a USB thumb drive, will deliver less than half a watt of power to a special receiver chip that can be embedded in a wearable device. While that's not enough to charge up a smartphone quickly, Energous says it's great to zap a fitness band full of energy in 10 to 40 minutes. One key benefit: By using wireless charging, Energous says a band can be completely sealed and waterproof because it doesn't need an external charging port. That means not worrying about taking it off in the shower or swimming pool. Because the device sends energy in the near-Wi-Fi band around 5.8 GHz however, it'll need clearance from the Federal Communications Commission, a process that could push the first usable product into late 2016 or early 2017. Energous is headquartered in San Jose, California. Dish's Sling TV online-television service is revamping its apps to focus on content rather than individual channels. Among other things, the apps will present movies and TV shows based on what you've watched before, like Netflix does, rather than the traditional way of channel by channel. That could make Sling TV's on-demand library—currently hidden behind multiple taps—easier to discover and watch. The $20-a-month Sling TV service offers more than 20 cable channels, including ESPN, ESPN2, AMC and TNT. Sling TV announced Tuesday that it's adding ESPN3 to the base package, too. ESPN3 is an online channel available to traditional cable and satellite subscribers. For $5 more, customers can get an add-on package such as Spanish-language networks and even more sports. The service has live streams of those channels, along with selected content on demand. You'll need an antenna for over-the-air channels, as those aren't included. 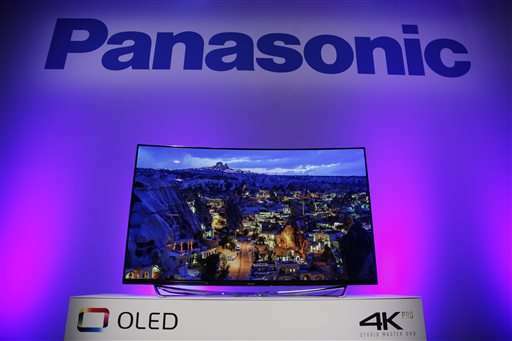 Dish is announcing the changes as the CES gadget show in Las Vegas opens Wednesday. ESPN3 and the new, content-centric features will be available by the end of March. Kia is promising to bring a self-driving car to the public by 2030, a decade longer than some companies have promised but perhaps a more realistic time frame. 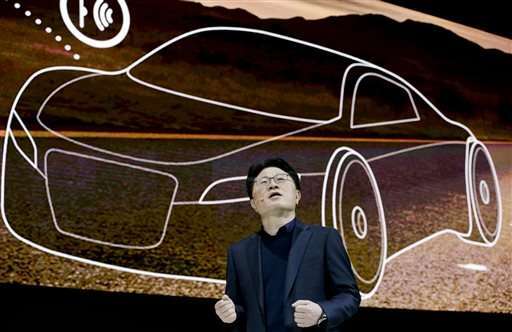 At the CES gadget show in Las Vegas, Kia also says it will introduce a partially autonomous car by 2020. The car will still need a human behind the wheel. The Korean automaker, which is owned by Hyundai, also has received a license from Nevada to test an autonomous Kia Soul electric vehicle on public roads. Tech giant Google has promised to have a self-driving car in the public's hands by 2020, and other automakers have hinted at 2025. But outside experts say the 2020 time frame likely would be limited to small geographic areas because technical, regulatory and legal issues still have to be worked out. Kia is creating a sub-brand for autonomous technologies called Drive Wise. 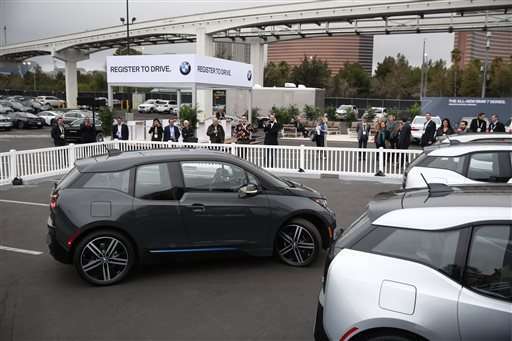 At the CES consumer-electronics show in Las Vegas this week, the company will show off technologies including highway and urban autonomous driving, as well as the ability to follow the vehicle in front of you. Kia also will show off a system that analyzes drivers' faces to make sure they're paying attention to the road. If they aren't, the car will automatically steer to the side of the road and stop. Playing nice with the competition? 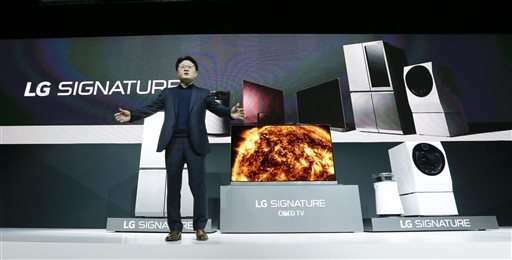 It's not unheard of at CES. 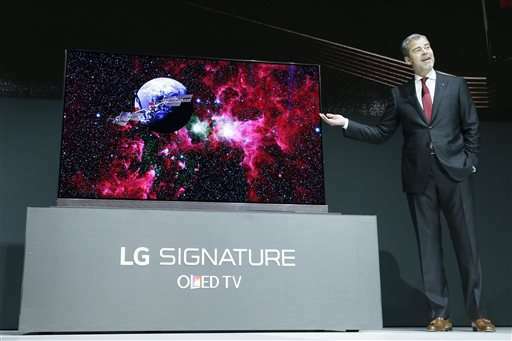 Samsung has unveiled several new products that get along with those from other technology firms. Samsung says its Gear S2 smartwatch will be compatible with Apple's iPhones later this year. Watches using Google's Android Wear already are, though with limited functionality. 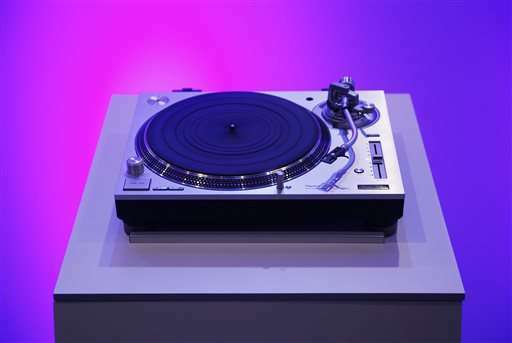 Samsung also unveiled a 12-inch tablet that attaches to a keyboard. The Galaxy Tab Pro S is aimed at business users and runs Microsoft's Windows 10 operating system, unlike the Android system used in consumer tablets. 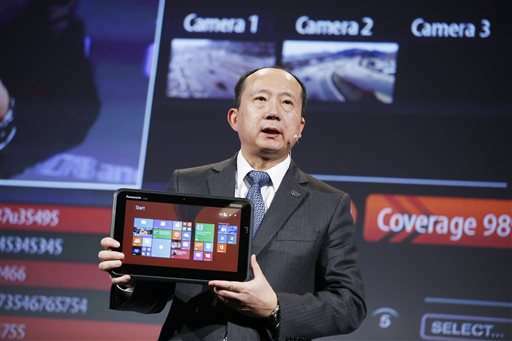 Samsung says it will be the thinnest and lightest tablet-PC combination on the market. In addition, Samsung's top-end 2016 SUHD TVs will come with a free USB dongle to serve as a smart-home hub and let users to control up to 200 devices from manufacturers from Nest to Philips via their TV. One remote control will also operate boxes from the Xbox One to a Time Warner Cable set-top box to Apple TV. 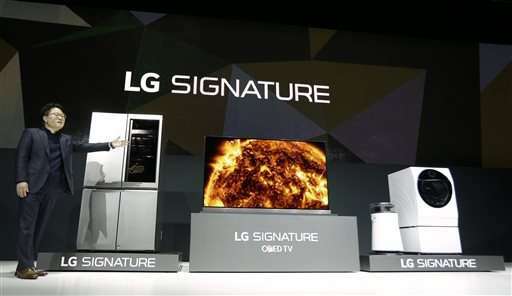 Add to that its Family Hub refrigerator to allow ordering of groceries through its 21.5 inch touch screen. 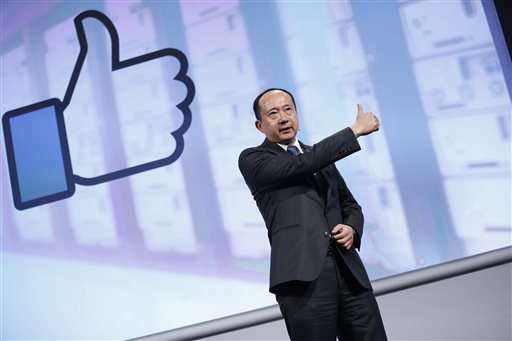 It's clear Samsung is positioning itself to be the center of a fragmented technology landscape. Though the fridge is made in partnership with MasterCard, you can pay with other credit and debit cards like Visa. Hollywood's getting serious about moving beyond those old cardboard 3-D glasses. The 21st Century Fox entertainment conglomerate said Tuesday that it has a deal to buy a minority stake in a leading maker of headwear for virtual reality and augmented reality, Osterhout Design Group. The news comes as a Fox subsidiary plans a CES debut for the virtual-reality version of its hit film, "The Martian," in which Matt Damon plays an Earthling space traveler left behind by his shipmates on the surface of Mars. This version, which lasts 20 minutes or so, will let viewers share some of Damon's adventures in what's been described as an immersive and interactive visual experience. According to published reports, Fox plans to distribute the virtual-reality version for viewing through headsets made by several manufacturers. Other studios are also dabbling in virtual reality. And Fox sees a big future in producing entertainment for the medium. In a statement, Fox executive Jim Gianopulos says the company's preliminary agreement to invest in Osterhout will push films "into the future" and "bring audiences exciting new creative experiences." Fox hasn't disclosed the amount of the investment. Osterhout is known for making stylish, computerized "smart glasses" that can project realistic images in a wearer's field of vision. That's done either by overlaying images on the real world, in what's known as "augmented reality," or in a more immersive "virtual reality" experience that appears to surround the wearer with projected images. It's showing off a new augmented-reality headset, designed for commercial and industrial uses, at this year's CES in Las Vegas. Dish's new set-top box will let viewers record 16 shows at once and watch four videos simultaneously—perfect for Football Sunday. The Hopper 3 will also come with the ability to search recorded content and Netflix at once, so that you'll find the TV show or movie regardless of its source. Cable and satellite TV companies are trying to move beyond bare-bones set-top boxes and digital video recorders, in part to keep customers from fleeing to a rival or dropping TV service completely. Previously, advanced recording and search features required you to buy a TiVo, Roku or other stand-alone device. Although few households will ever need to record 16 shows at once, Dish executive Vivek Khemka says it wanted to create an environment in which the viewer never has to think about whether the box is free to record a show. That was also the thinking behind putting in two terabytes of storage—enough for 500 hours of high-definition video. Dish TV subscribers will be able to get the Hopper 3 starting later this month for $15 a month, on top of regular fees for cable TV services. The service initially works with two grocery stores in the New York area: Fresh Direct and ShopRite. Users can choose when they want the groceries delivered. The fee is the same as it would be ordering from a computer—typically a few dollars, plus tip. It will be available in the U.S. starting in May. The phone will start at about 600 euros ($645). It's launching in various countries, but there aren't any current U.S. plans. The launch marks Kodak's first new Super 8 camera in more than 30 years and is a nod to those in the film industry that continue to balk at the push to switch to digital cameras. Want a craft brewery on your countertop and don't mind waiting a week for the hoppy elixir? It's not for the home brewers interested in making their own creations, though the company says customers can turn the dial to make the brew more or less bitter or hoppy. And it doesn't involve a basement's worth of space dedicated to the process. It's never been easier to find your lost keys. 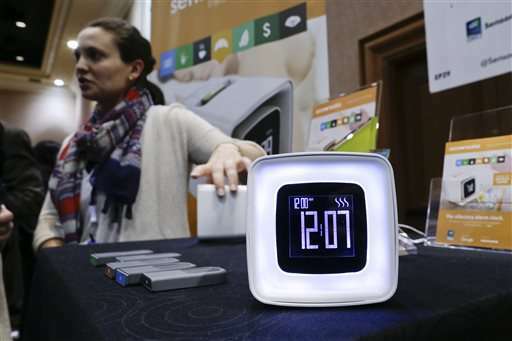 Several companies are showing off tags with wireless technology. You can put one on your keys and call to it with your smartphone. Think of it as dialing your partner's mobile number just so it buzzes from under the couch. Some companies are taking it a step further. TrackR, a company in Santa Barbara, California, unveiled an add-on called Atlas. It plugs into a wall socket and scans a room for any TrackR tags using Bluetooth. It then tells you what room your missing item is in. The company's Jeremy Fish says "most people can find it if you get into the right room, unless you have a warehouse for a room." Chipolo, a company from Ljubljana, Slovenia, added a shaking feature that calls your phone or even takes a selfie (provided you can balance your phone somewhere). And even if your missing item is beyond the 200-foot Bluetooth range, if some other Chipolo user walks by it out in the wild, you'll get notified where it is—without compromising the other user's privacy—so you can go get it. 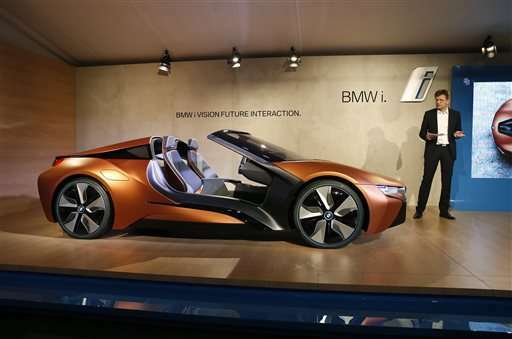 BMW and Ford both announced they're working on in-car apps that let drivers control smart home devices. BMW says it's working on apps that allow drivers to "precondition" their homes by setting the thermostat for the right temperature by the time they arrive home. 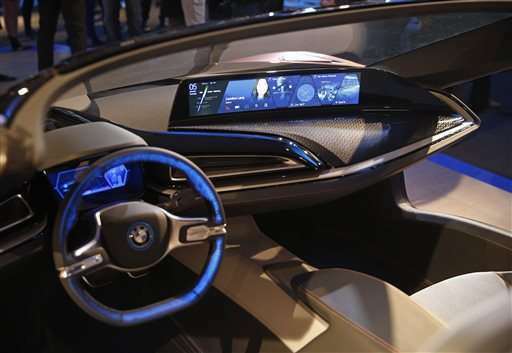 The company also showed an i3 electric car linked to a home device that monitors routines, sets routes and starts car functions. Ford announced that it's working with Amazon to link cars to its Alexa personal assistant. Later this year, the company will offer a service with voice commands that can start a car from a home or turn off an alarm system and open the garage door as a driver gets close to home. At the CES gadget show in Las Vegas this week, Smarter is debuting a mat and a camera that can remotely tell a person what's left in one's fridge. Barnaby Sellers with Smarter says the devices will speed up a person's daily routines and make a kitchen smarter without needing to buy a new fridge. 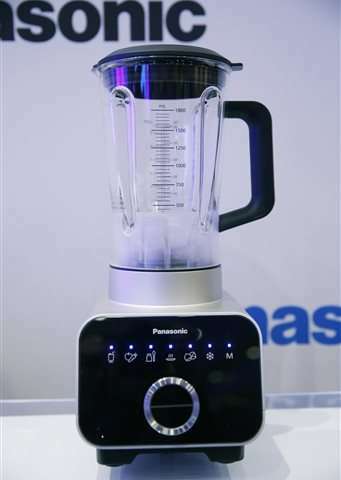 At last year's show, Smarter showed off a remote-controlled coffee machine and kettle. If you find buzzing or beeping is an alarming way to wake up, you might enjoy Sensorwake's olfactory alarm clock. And this important feature is important in cold and flu season: There's a backup alarm if you have a stuffy nose. The limited sight line of your car's rear view mirror may be a thing of the past. 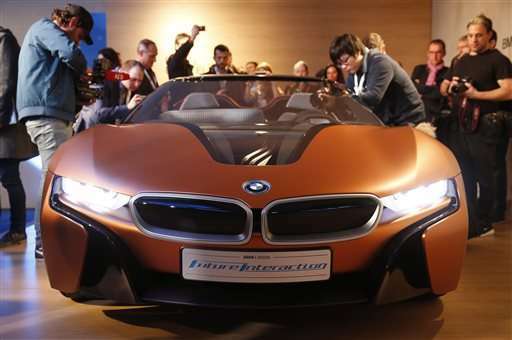 BMW showed off the i8 electric car's mirrorless system. Images from three cameras are combined on a display that replaces the interior mirror, giving the driver larger viewing angles and eliminating blind spots. The system analyzes the images and alerts drivers to potential hazards with yellow warning icons. The replacement mirror also has lines showing the car's trajectory when parking. Chicago, Dallas and Atlanta have been chosen as the first cities where AT&T's will showcase the potential use of sensors and other Internet-connected technologies to improve municipal services. Under this "smart cities" concept, maintenance crews would be able to remotely detect roads needing repairs, while motorists would be able to view and reserve parking spaces ahead of time. Though some of these capabilities are already available in some cities, officials can better keep tabs on emergencies, such as power outages and heavy traffic, by integrating all aspects of government functions. AT&T says it has formed alliances with Cisco, Deloitte, Ericsson, General Electric, IBM, Intel and Qualcomm to support smart cities. Two of the cities chosen have direct ties to AT&T. Dallas is the company's headquarters, while Atlanta is the hub for its wireless businesses. There's no time frame yet on when AT&T will roll out these services. Call her mom. A small white plastic figure that resembles a Russian nesting doll offers a digital smile while it monitors if people it's watching are taking their pills, drinking enough water or doing any of their daily routines. Along with alerting caretakers and family, founder Rafi Haladjian says the white "mother hub" will play the sound of running water if a person doesn't drink enough water for the day. It will also call people on the phone to remind them to take their pills. Office workers probably assume their boss can peek in on their corporate emails. But knowing—exactly—how long you've been sitting down on the job? That's the purpose of the "connected caster," an innocent-looking, weight-sensitive wheel that can be affixed to the bottom of an office chair. It sends data back to a system that tracks just that. Detroit-based Tome Inc. worked on the product with sleek office furniture designer Humanscale—which, conveniently, makes a line of desks for standing up and working at. The new Blaze won't have a GPS built-in, but it will be able to use the GPS from a companion smartphone to display pace and distance more accurately. It's a similar approach to the Apple Watch. The Blaze will sit alongside Fitbit's existing Charge HR, which monitors heart rate but has no ability to latch on to the phone's GPS. Ford CEO Mark Fields says he expects autonomous cars to be in public use in about four years, but they won't be able to drive in all weather conditions. That, he said, is a long way away. 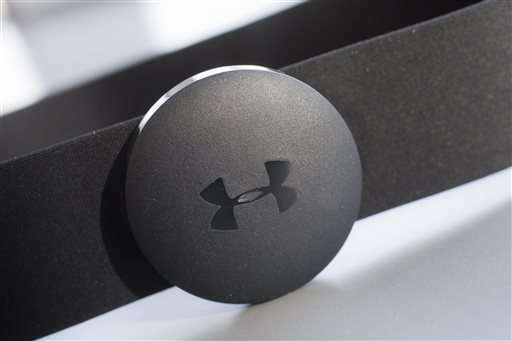 Though Under Armour isn't first with any of these, it's trying to make it easy on consumers by designing products that connect wirelessly to each other or to its smartphone apps. A new version of its UA Record app seeks to integrate all aspects of your health and fitness—including nutrition, sleep and exercise—though a few features will require a companion app, MapMyRun. 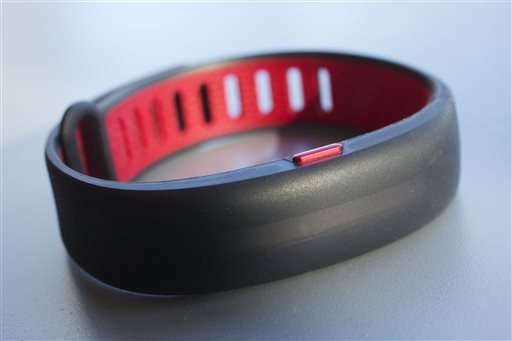 The apps are free and will also work with competing devices, such as Fitbit and Garmin watches. Under Armour is offering a starter package, the UA HealthBox, for $400. 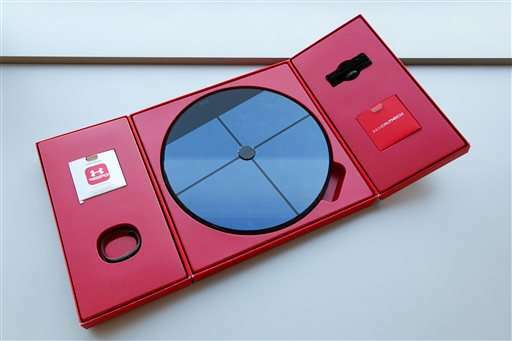 It includes the scale, a chest strap to monitor heart rate and a fitness band to track steps and sleep. Each item is also sold separately. 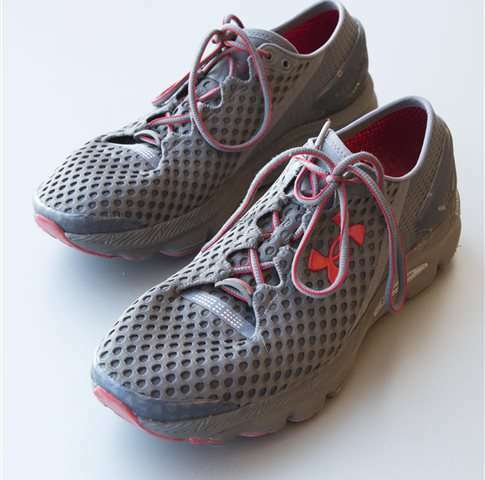 Beyond that, Under Armour is offering a shoe embedded with a chip to track exercise—even without a smartphone or any other GPS-enabled device for recording distance. The company is also making two headphones, including one that can measure heart rate at the ear. 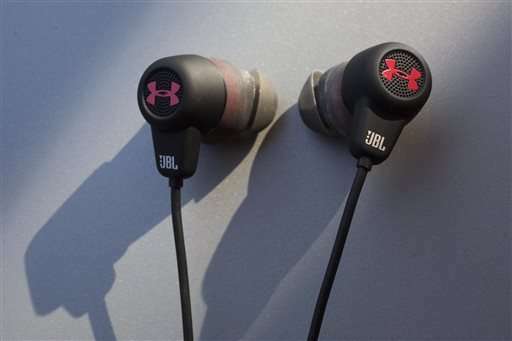 Under Armour partnered with smartphone maker HTC for the HealthBox items and with Harman's JBL business for the headphones.